What to do Asthma Attack Treatment? 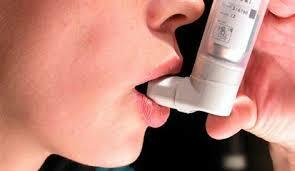 An asthma attack can be very frightening for the asthma sufferer. Because they can become quickly weakened and/or disoriented due to lack of oxygen, it is up to you as caretaker to initiate an immediate asthma attack treatment. A severe asthma attack gives the sensation and panic of drowning, even though they are not under any water. Asthma Attack Treatment Must Be Immediate. Don’t delay treatment, call for help. Make sure the patient is sitting up. Smile. Appear calm and cool. Don’t shout, unless absolutely necessary. Get the inhaler and a spacer, if possible. Shake the inhaler. Most asthma patients carry their inhalers with them on their person all of the time. Have them take a puff, count to four, and then take another puff up to four puffs. If no improvement, try the puffing again. If still no improvement, call an ambulance. They need hospitalization. But, What If This Is A First Attack? Don’t delay. Call an ambulance immediately. Ask if anyone around has an inhaler. Use anyone’s inhaler. This is not the time to show brand loyalty. Have the patient puff, then fire the inhaler while patient does best at a deep inhale. Have patient hold breath for 4 seconds. Have patient try to take four normal breaths. There are many things the asthma patient and his or her relative/significant other/roommate/whatever can ease the danger of a sudden attack, even if the other person is not around. One option is to get a bracelet or necklace saying that you have asthma. Another is to take your medication and follow your doctor’s orders. And, if you smoke, then you really need to cut back or stop. You really don’t have an option. Not only are you clogging up your lungs, but the smokes will most likely interfere with all of your asthma and/or bronchitis medications. Bronchitis And Pregnancy: How To Handle or Avoid? Pregnancy is a delicate time for mother and the unborn child, and it is important to avoid getting sick to the extent possible. Of course things like common cold etc keep happening, but its the bigger things you have to guard against. Is it true that pregnancy tend to contract bronchitis? Yes, it is likely for pregnant women to get bronchitis, because during pregnancy, the uterus expands to provide more room for the growing baby. However, this causes other organs, such as the lungs, to be compressed/pressured. This often leads to more sinus infections in pregnant women—and sinus infections can lead to bronchitis. The simultaneous occurrence of bronchitis and pregnancy often inhibits the woman’s ability to breathe, which is dangerous for the baby’s health and development. Usually antibiotics or drugs would be the quick fix for this situation. 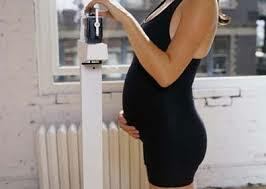 However, pregnant women must be careful about which drugs they take, because these too can damage the baby’s health. Anytime a pregnant woman is considering taking medicine of any kind, she needs to work very closely with her doctor to determine what is best for her health. How To Avoid Bronchitis During Pregnancy? Here are some steps to take. First of all, women who are pregnant should avoid being around people with colds or bronchitis. This means think twice before getting into crowded metros. Additionally, if a woman is pregnant during the flu season (December through March), then she should get the flu vaccine to protect herself from serious cases of pneumonia or influenza. Bronchitis and pneumonia has some of the same symptoms so therefore, many people believe that treating bronchitis and pneumonia will also share some of the same remedies. This theory is true up to a point, but you have to understand first the type of bronchitis and pneumonia that you might have. Those illnesses caused by a virus will be treated differently than those that are caused by bacteria. The basic difference between bronchitis and pneumonia is that bronchitis is primarily an inflammation of the air passageways called bronchi that lead from the trachea to the lungs. With pneumonia, there is an actual infection of the lungs with the alveoli (air sacs) filling up with fluid or pus, causing breathing problems. Both bronchitis and pnemonia can start out innocuous enough from a cold or even an allergy. With bronchitis, you may develop a dry cough in the beginning but within a day or two you could have a moister cough which may bring up clear, yellowish or green phlegm. With pneumonia, the cough comes up from the lungs and may be green or spotted with blood. In terms of fever, you may get a mild one with bronchitis but pneumonia will usually cause you to have a higher fever of about 101?F or higher. In addition, the best way to determine pneumonia is to have a doctor x-ray your chest area. Bronchitis will present clear lungs while pneumonia will show signs of infection. In treating bronchitis and pneumonia, it is also important to know whether they were caused by a virus or bacteria. Often, the doctor will test the mucus for signs of bacteria as well as conduct a blood test to verify things. When it comes to a bacterial infection, treating bronchitis and pneumonia will usually be through various forms of antibiotics. The blood and phlegm test will help doctors pinpoint what type of bacteria is present so that the proper antibiotic treatment can be chosen. When a virus is the cause of these respiratory illnesses, there is no drug that can help so the infection has to run its course. With bronchitis, it may take a week or two to clear up the infection and start feeling more normal. However, with pneumonia, the time frame could be several months because lungs take longer to heal. Treating bronchitis and pneumonia caused by viruses usually boils down to the symptoms. You can treat the symptoms and provide yourself some relief while the illness runs its course. Some remedies that can be used when treating bronchitis and pneumonia include breathing in steam several times a day either through a shower or vaporizer and drinking plenty of fluids like water, juice and soup which work to thin the mucus so that it can be expelled easier. Oxygen treatments may be necessary for viral pneumonia sufferers when breathing becomes labored or difficult. How to Identify Bronchitis vs Common Cold vs Pneumonia? Almost everyone gets a cold in their lifetime, and many people will get cold at least once every year. And there are times when a cold may become something worse, so the question of the day is how do you know you have bronchitis instead of a lingering cold. Question: How Do You Know You Have Bronchitis? What are the Key Symptoms? Often, a cold is the first step in developing bronchitis so some cold symptoms will also be present in bronchitis. Identifying the current cough as something more than just a part of a cold — is the complex part of detecting if you have bronchitis. With colds, your cough may be rather dry with no expulsion of phlegm or mucus. However, with bronchitis, the coughs are moist, producing yellow or green sputum. Another symptom for bronchitis is wheezing and chest pain — ie behind the sternum (breast bone). When your bronchial tubes are inflamed, they are producing mucus which creates a rattling, wheezing noise when you breathe. Of course, the pain in the chest occurs from repeated coughing as well as from the bronchial tube inflammation. Fatigue and fever are two additional signs that can show how you know you do have bronchitis. Chronic coughing can take a toll on your body causing tiredness while fever is common when you body is fighting an infection. Of course, these two symptoms are also prevalent in pneumonia as well. Question: How do you know you if you have bronchitis instead of pneumonia? For that you can get chest x-ray or “Bronchoscopy” at the hospital or doctor’s office. The x-rays will reveal clear lungs with bronchitis, but infection is will be visible in the lungs of a pneumonia patient. Question: What are the Treatment Options? Once you know that you do have bronchitis, specific treatment can be started. If the cause is a bacteria, your doctor will prescribe antibiotics. A blood test and sample of the phlegm/sputum can show how you know you do have bronchitis caused by bacteria. If the cause is a virus (and this seems to be more common) you can’t solve it with antibiotics (as you may know already), and you just have to wait and let the illness run its course. However, you could still ease your symptoms like the inhalation of steam, consuming plenty of fluids and taking a pain reliever for those body aches. Question: How can I prevent it from coming in future? How to Control Asthma In Children? Asthma could be a life threatening disease for the millions of children affected by this chronic condition. The asthmatic person feels as if they cannot breathe. And it is frightening to the children, the parents, their teachers and other caregivers. Fortunately, there have been significant developments in the treatment of asthma in children. Asthma in children affects children the same way this condition affects adults. The airways in the human body are constricted when an asthma attack occurs. It often results in wheezing and a whistling sound when breathing. Asthma can also make the child feel as if their chest is very tight, and they often have a coughing spell. It creates fear in children because they think they might die. Asthma in children is the result of the same conditions as asthma in adults. Excessively hot, cold or moist air is often the trigger that causes an asthma attack. Smoke in the atmosphere can trigger an asthma attack in children and adults. Strenuous work or play can bring on an asthma attack. There have been some significant developments that provide freedom for children affected by asthma. There are some great inhalers that children can use on their own if they have an asthma attack. These inhalers can be put in their pocket or backpack to be pulled out to relieve the symptoms of an attack. These inhalers provide security to children who might be worried that they could have an attack at any time. There are also medications for asthma in children. These medications have been developed through expert medical research, and the treatments continue to improve. These treatments make the use of the inhalers less frequent. Stress is often a cause of asthma, and the worry of having an attack can add stress to the lives of young children. The medications and inhalers reduce the worry that young children might feel because of previous asthma attacks. Most young children today can live a fully independent life without worrying that they will have trouble breathing because of asthma.